The purpose of this document is to explain the policies, rules and procedures of the Housing Authority of the City of Bayonne (the "Authority" or "BHA") as they relate to the admission and continued occupancy of residents in low income public housing and Post Road Gardens only. It will also state the rules and procedures employed to calculate rent. 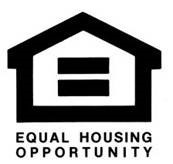 This policy complies with the principles in Section 206 of the Housing and Community Development Amendments of 1979, Section 203 of the Housing and Urban Rural Recovery Act of 1983 and the Quality Housing and Work Responsibility Act of 1998 ("QHWRA").